This entry was posted on August 7, 2015 by Jessica Anderson. 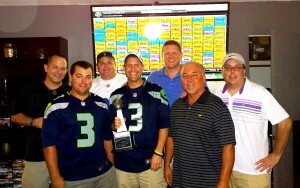 Last year's Big Johnson League draft. 2. Build the Legacy. With a couple of ways to accomplish this, keep both short-term and long-term budget in mind. Annual (perpetual) engraving on the Big Johnson League trophy. 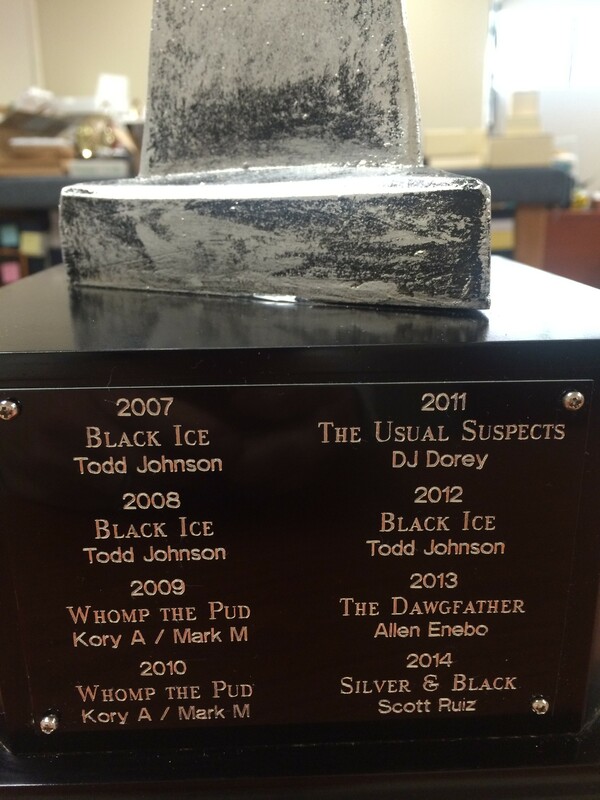 To get names added to the sides, add product #7170 to your cart and type in the previous winner's information in the engraving section. I suggest including the year, winner’s name and team name. Each side plate fits 6-8 years of engraving. Doing the math, you get 18-24 years of joy out of the trophy. Please note: Each year there is a process to have the side plate engraved with a new winner. Simply unscrew the plate and mail it to us with engraving instructions and payment for $20. We will engrave and mail it back. Even if you forget to have it engraved for up to 4 years, the cost is still $20 total. Get specific instructions here. 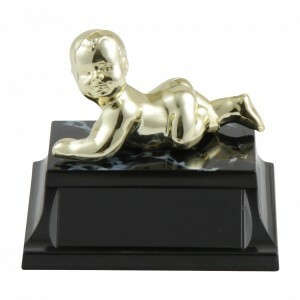 For the biggest whiner in your league, award our popular Cry Baby Loser Trophy.